It looked fine today, so that we got on a ferry boat to go and return between Strömstad in Sweden and Sandefjord in Norway. It took only half hour to get to Strömstad by car. 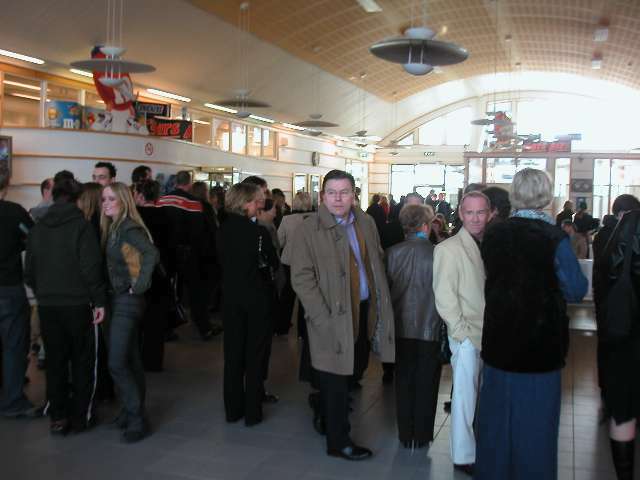 We arrived at a ferry terminal in Strömstad. 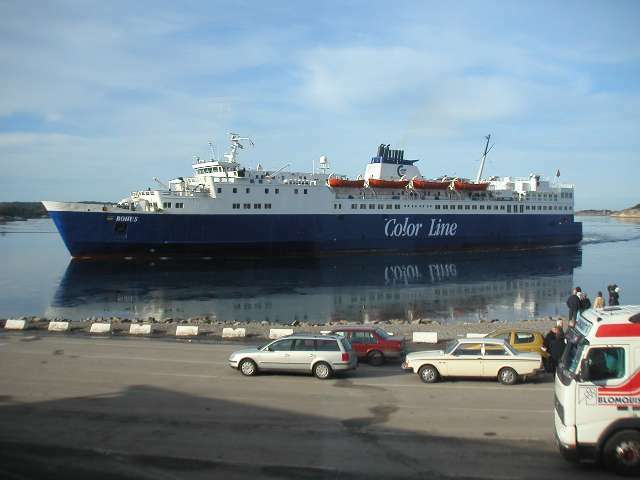 Although the ferry would leave at 10 o'clock in the morning, several cars were waiting. 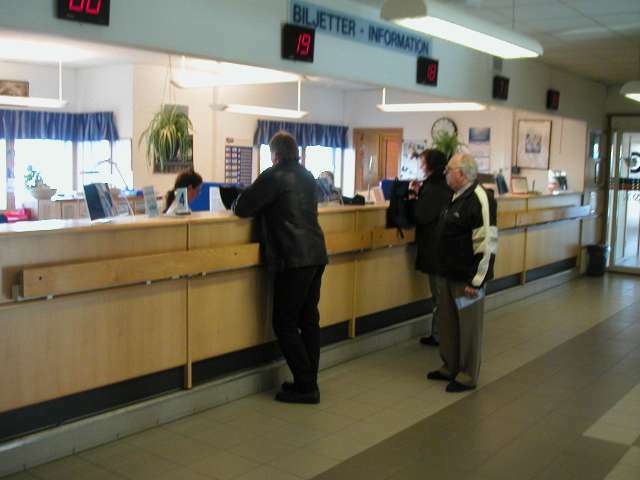 This is the ticket counter. 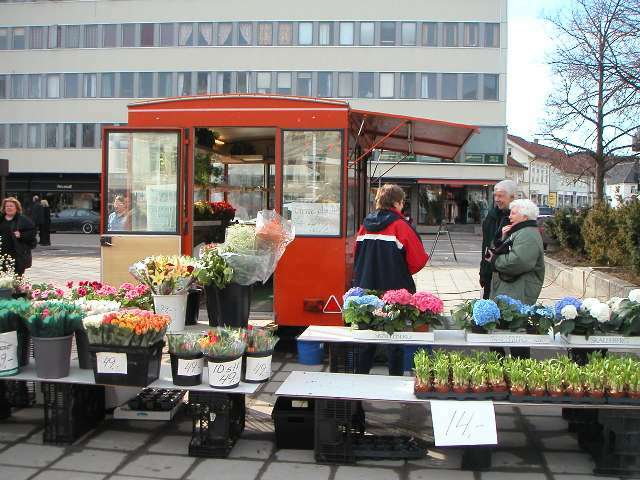 The fare was 110 SEK for 4 persons for round trip. Extremely cheep! This is the ticket. 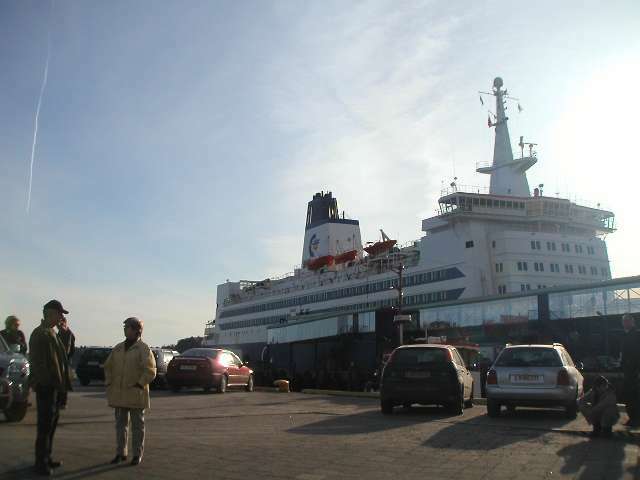 The outward ferry leaves at 10 o'clock and arrives at 12:30. 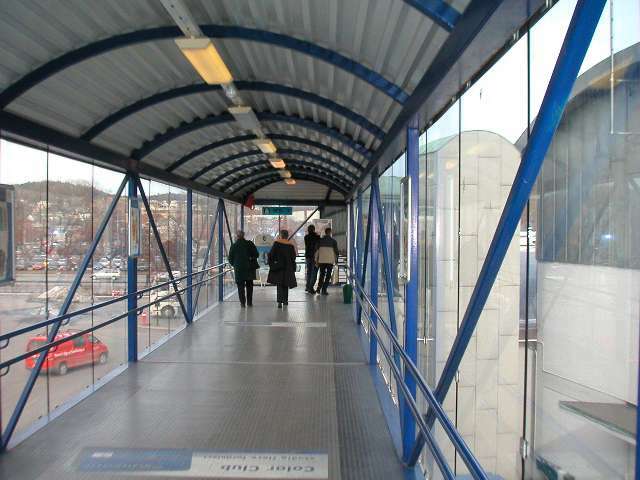 The homeward ferry leaves at 16:30 and arrives at 19:00. 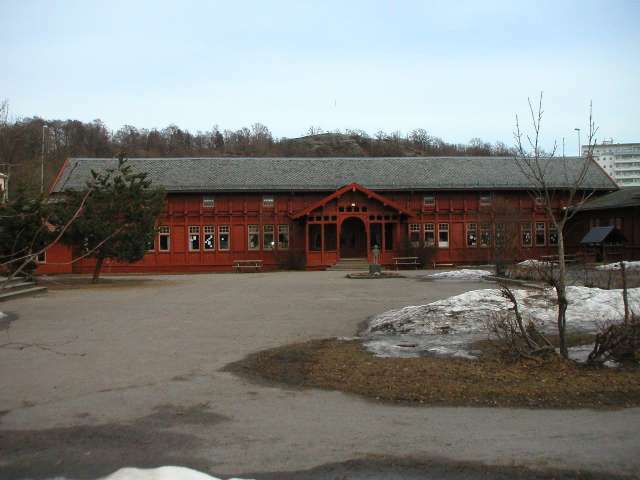 We could spend 4 hours in Sandefjord. 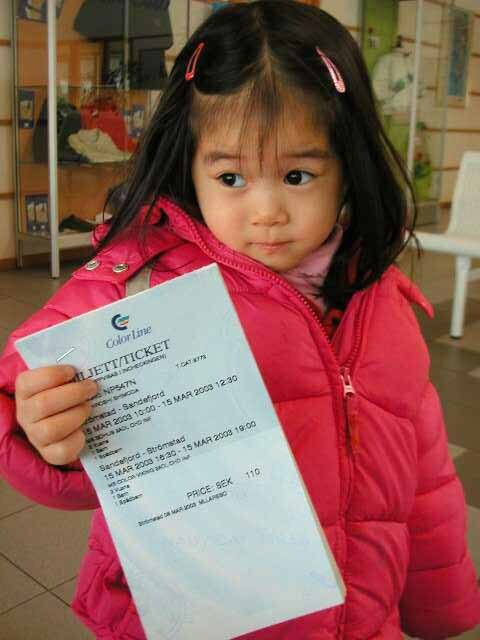 After buying the ticket, we waited for the ferry coming in such room. 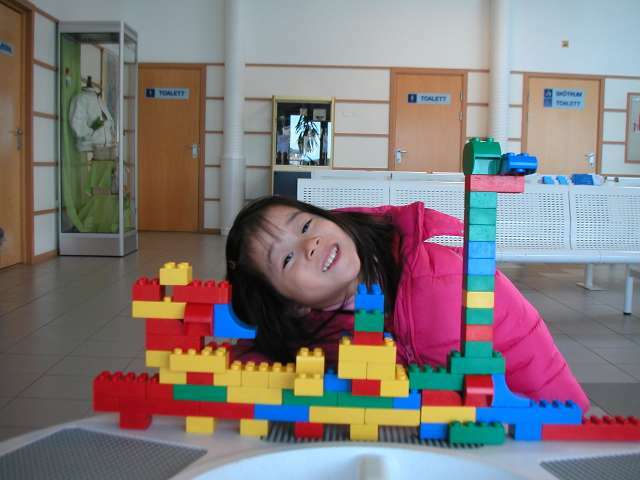 Kids were playing with LEGO blocks in the room. It made kids not to feel boring. After a while, the ferry came. It was bigger than I expected. 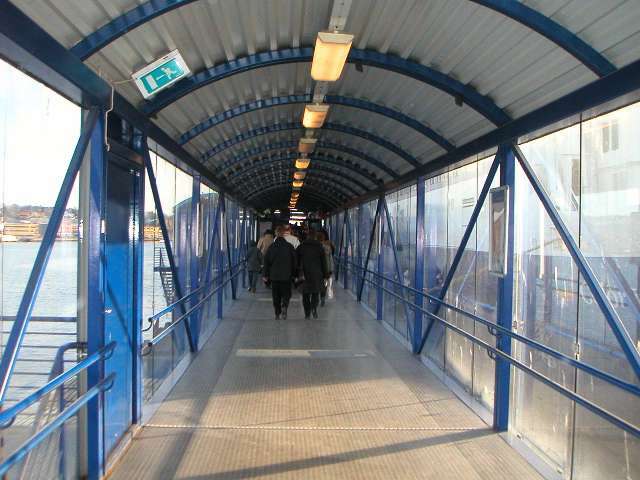 We got on the ferry going through a corridor like this. The passengers were not so many. It seemed that less people get on it during winter. 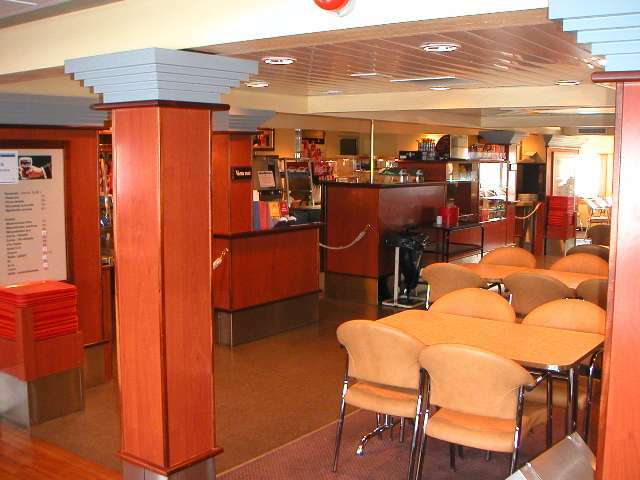 In the ferry, there are cafe, restaurant, duty-free shop and so on. We kept seats besides the window. 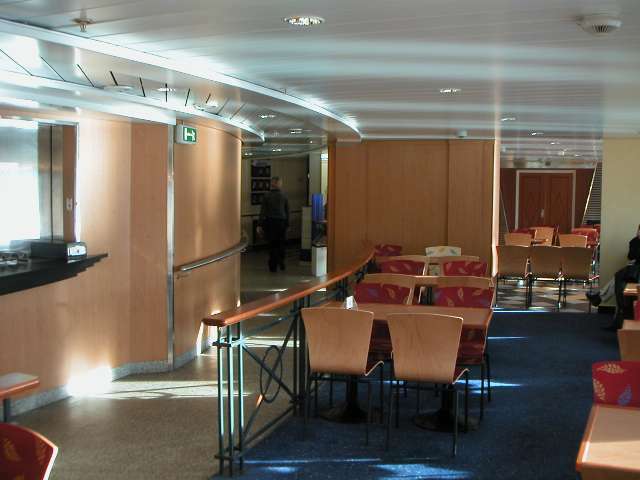 But actually, we could take any seat because of less passengers. 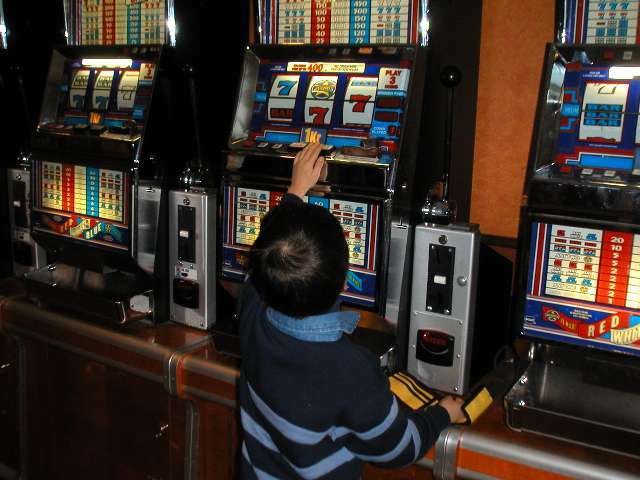 He found slot machines! You can play from 1 Norwegian Kroner. Unfortunately, he could not take '7's. 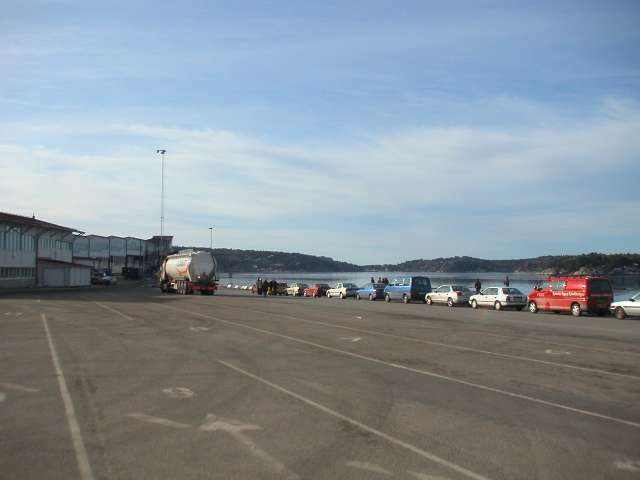 The ferry arrived at Sandefjord at 12:30. 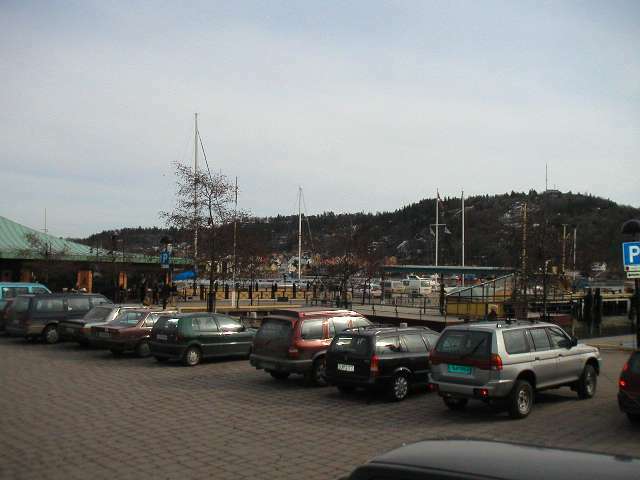 This is the harbor of Sandefjord. 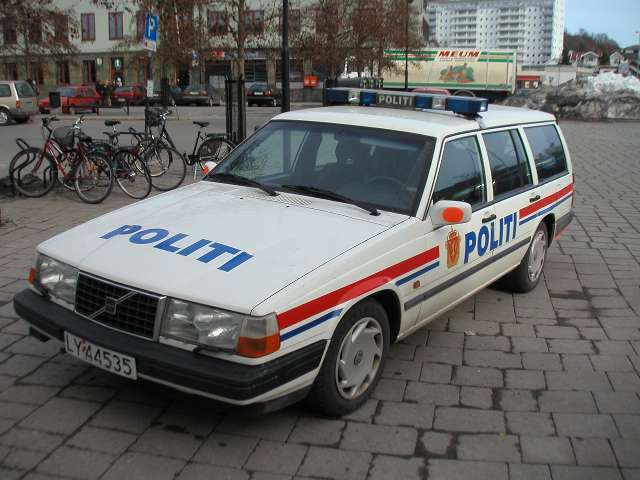 I found a police car of VOLVO!. 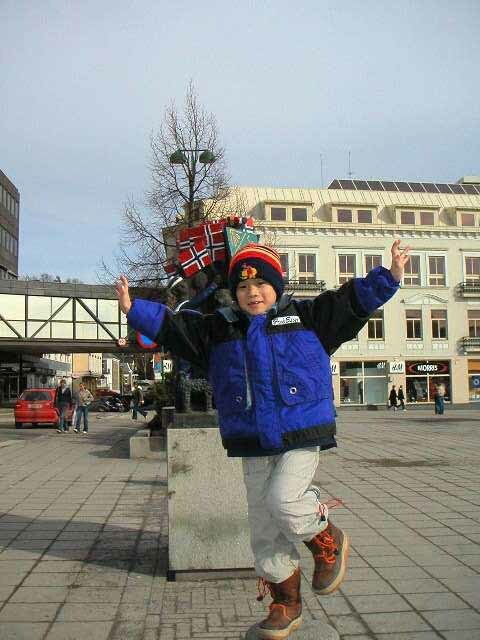 It is "POLITI" in Norway. 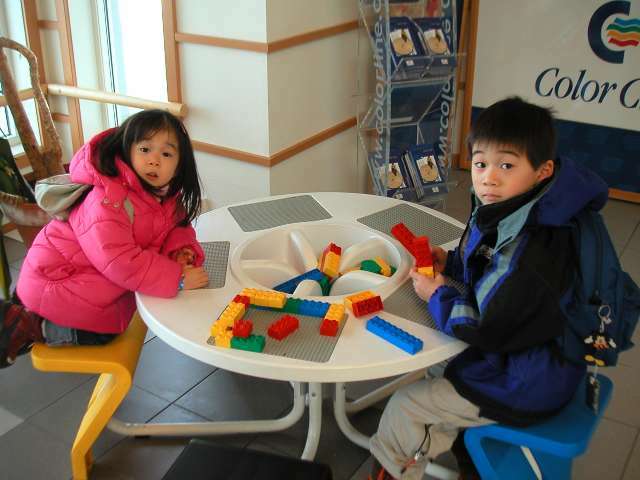 This is an elementary school near the harbor. It has retrospective atmosphere. 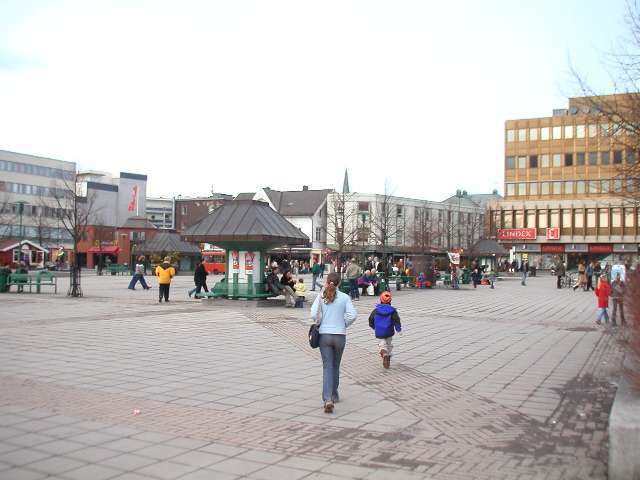 This is a square in the middle of Sandefjord downtown. There are lots of shops around here. We found this flower shop in the square. This is a shopping mall. It was Saturday today, so the closing time was 17:00. Say "cheese" in front of a statue. 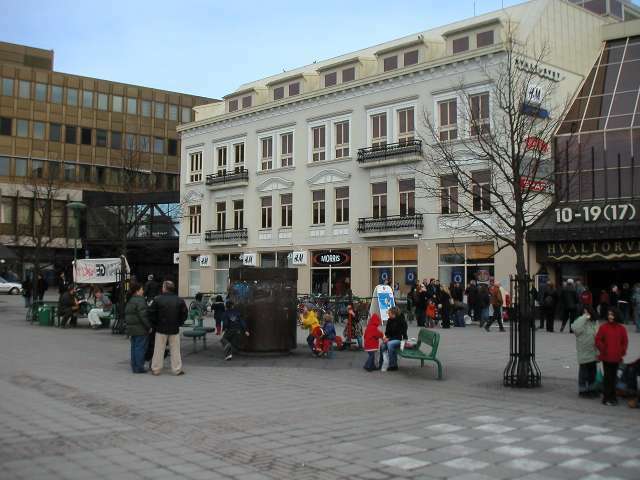 After looking around downtown of Sandefjord, the departure time had come. 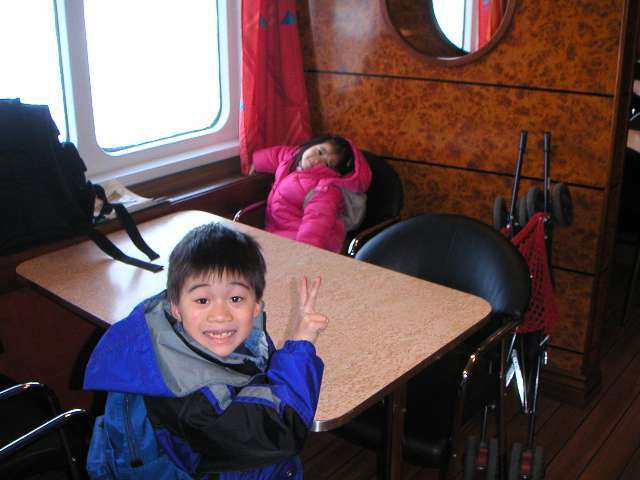 We returned to the harbor. There were so many passengers on our return ferry. 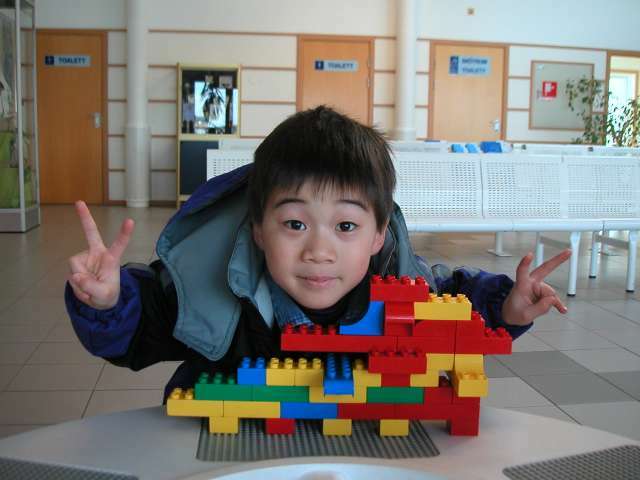 There were LEGO blocks as well in this waiting room. 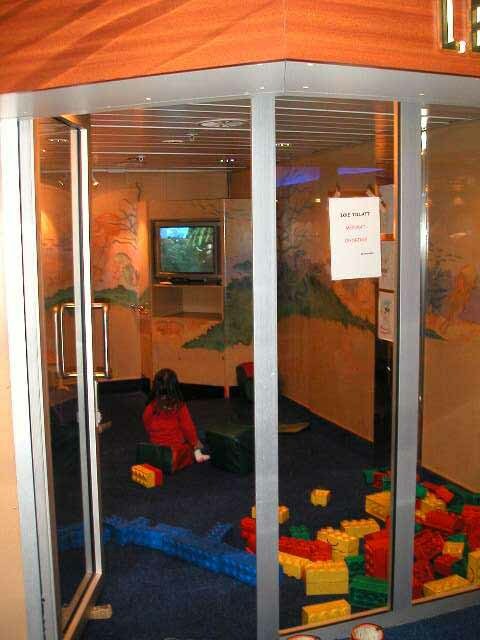 Kids can wait for the ferry without being boring. 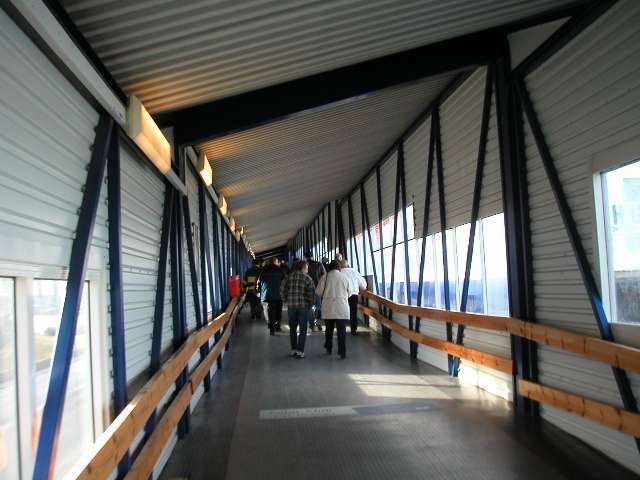 After the boarding time, we got on the ferry walking through this corridor. 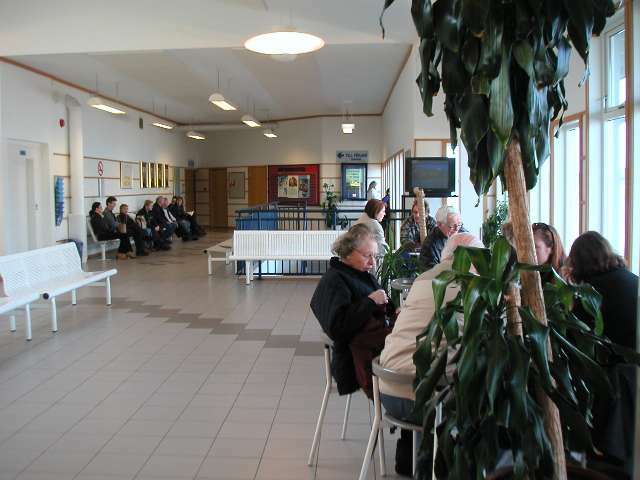 and a cafeteria like this. 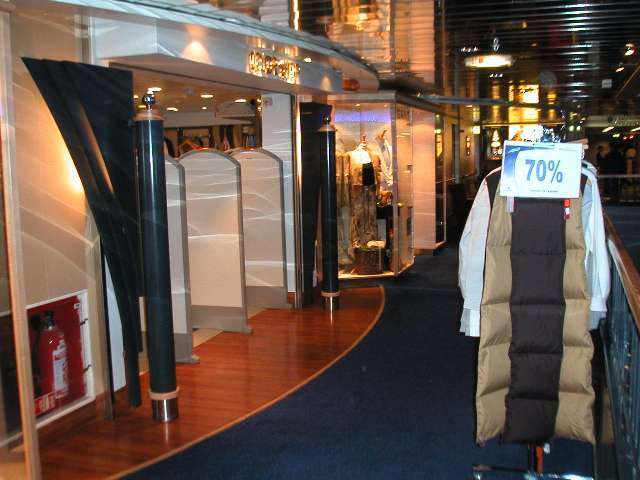 Besides these, it has a big duty-free shop and an electronic shop. 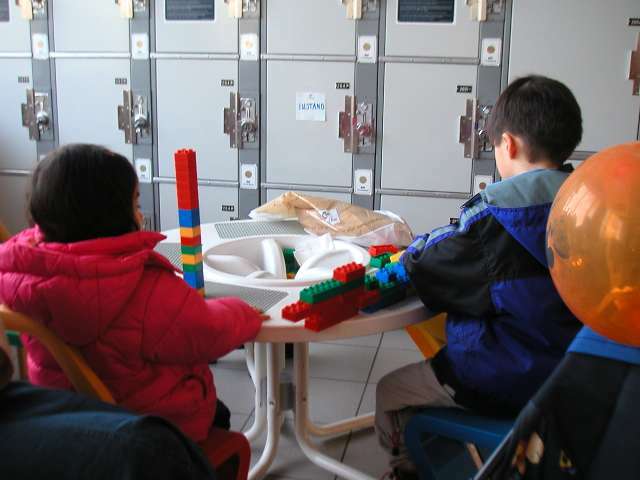 Kids can play with toys and watch video in this kid's room (LEKEROM). 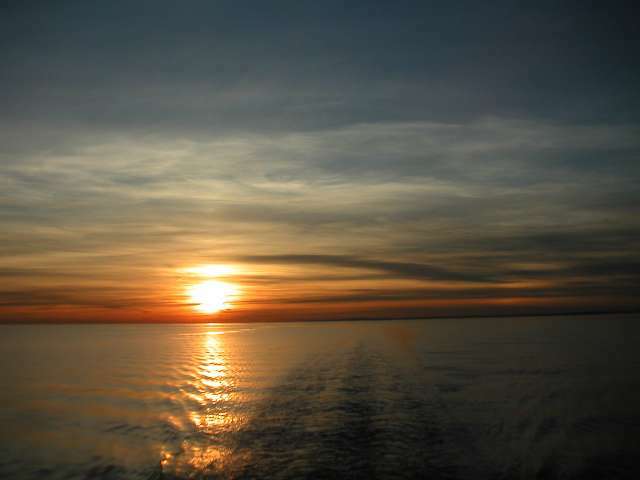 When we were reaching Strömstad, the sun was getting set. The evening sun looked so beautiful from the ferry. In the winter, such short trip might be good.